Outdoor kitchen Sunningdale- We were contacted early in 2014 by the estate manager for a private house in Sunningdale, Berkshire to plan and install a wood-fired oven to replace an off the shelf stainless steel gas oven that the client didn’t like. 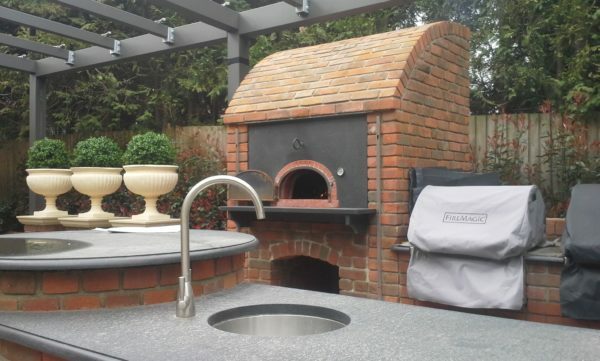 The existing brick enclosure was just large enough to install a Four Grand-Mere 800 brick oven so we prepared a plan and working with the building company on site constructing a new home and remodelling the extensive gardens, installed the oven and finished it off with black granite facing and shelf to match the existing worktops. 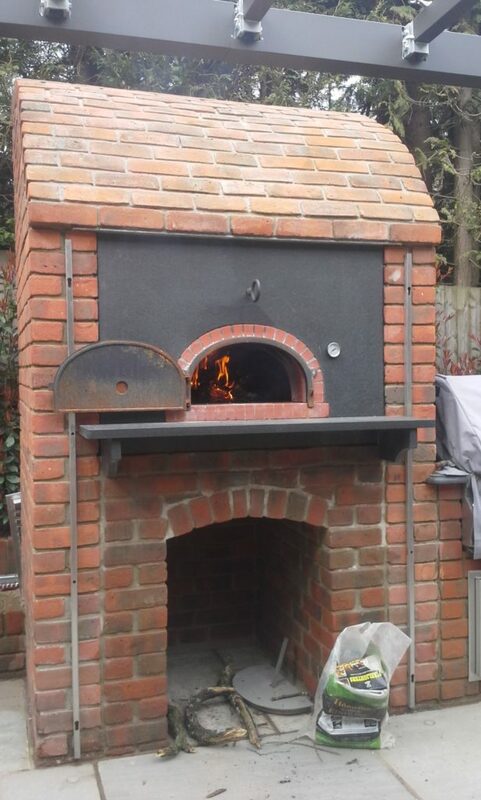 The flue was cleverly hidden behind the enclosure so the client couldn’t see it from the house and the whole area was eventually roofed over in glass to provide an all-weather cooking space. 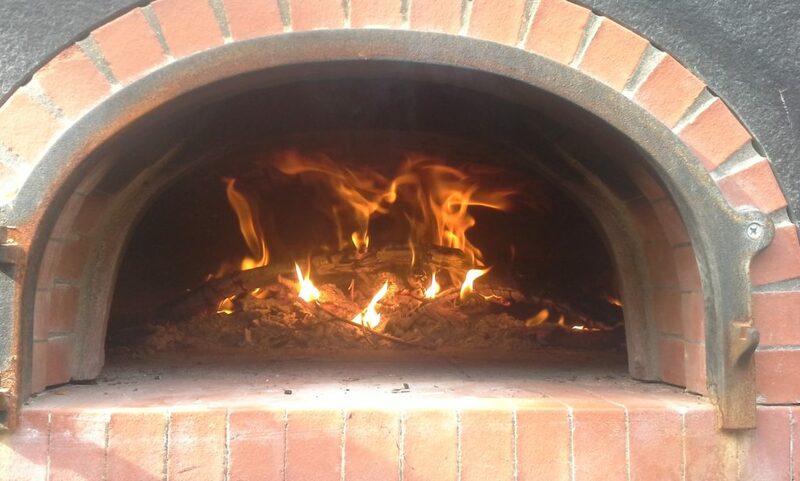 The client, a sheik from Dubai, now enjoys freshly made pizza whenever he and his family are in the UK.